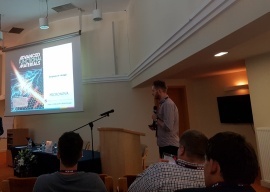 The aim of this visit was to participate in the 159th seminar of the International Center of Biocybernetics: Optics in Neuromonitoring, where Dawid Borycki delivered the talk entitled as: Monitoring time-of-flight-resolved temporal dynamics of optical field using interferometric near-infrared spectroscopy (iNIRS). 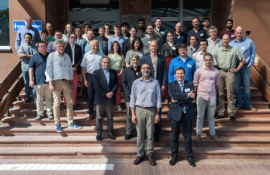 The goal of the Speckle2018 conference was to discus and exchange ideas between scientists, engineers and students dealing with the speckle metrology and related techniques. 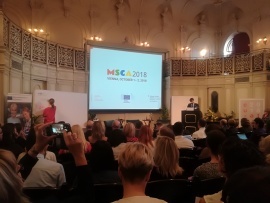 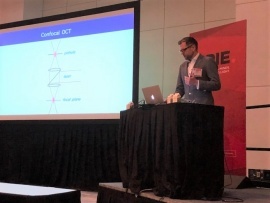 This three-day conference consisted of high-level presentations from scientist from across the Europe, America and Asia, was an excellent platform and opportunity to interact with various optics specialist and have discussions. 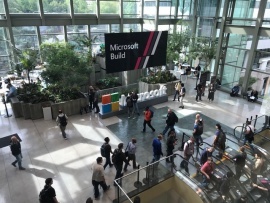 Dawid Borycki participated in the Microsoft Build 2018 conference. 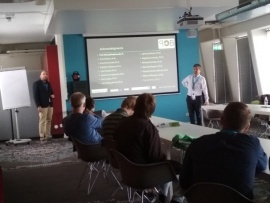 The aim of this visit was to learn about new software technologies used in Professor Wojtkowski lab. 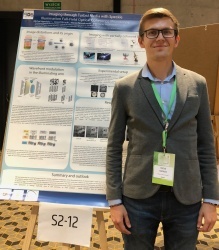 Dawid was particularly interested in the artificial intelligence for computer vision and the intelligent edge. 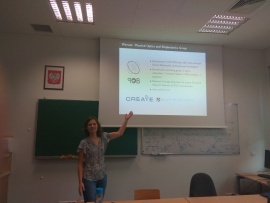 Julia Sudyka participated in the EGAS'50 (The European Group on Atomic Systems) conference that took place in Krakow. 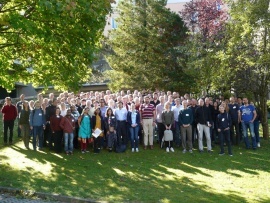 The conference topics are atomic, molecular and optical physics. 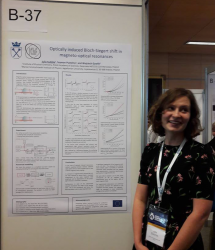 She presented a poster entitled “Optically induced Bloch-Siegert shift in magneto-optical resonances ”.